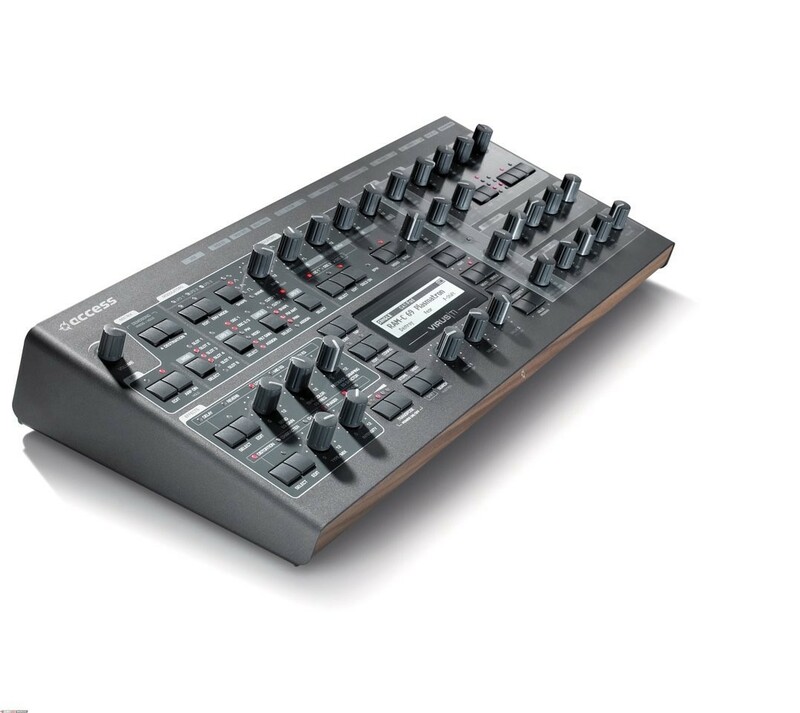 Virus TI2 Desktop, Analog Modeling Synth Rack/Sound Module from Access Music in the Virus TI series. Access Music has released two free signature sound sets for the Virus TI by Richard Devine and Chicago Electro Rockers VTG. Richard Devine, known for his GlitchCore/TDM influenced sound wasn't short of effort to create some of the nastiest, noisiest and darkest patches available today. He made extensive use for the recently added Stomp Box Distortion algorithms and Frequency Shifter. VTG's signature set features Dub-Step and Elekro sounds. Here's what he has to say: "I really wanted a nasty sound bank for my Virus, some- thing that made the woofers shake, something that had LOTS of great modulation... So I set forth to create a dirty, Electro (somewhat Industrial) patch set for the Virus. 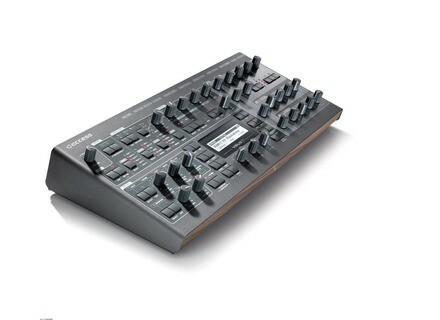 There's dubstep-esque basses, nasty little arps, raunchy electro leads and ghostly ambient pads included in the bank." Virus TI users can download both sets of each 128 patches free of charge from www.virus.info. To get the latest news, follow the Virus TI on facebook: www.facebook.com/accessvirus. Yamaha Motif XF Series Yamaha has launched its new Motif XF Series workstation. Kurzweil PC3K8 The Kurzweil PC3K is described by the company as "the pinnacle of [the] PC3 line, bridging the gap between Kurzweil's past successes and present innovations." Alesis Discontinues A6 Andromeda & Ion Alesis apparently have discontinued the A6 Andromeda and Ion synths.